Early this year, our ship owners, seafarers, colleagues, Marlow Navigation Co. Ltd., and Marlow Navigation Philippines started long-term aid to areas affected by Super Typhoon Haiyan (Typhoon Yolanda). The decision to rebuild classrooms was based on the consultations made with our seafarers and their families, the people of the community, and from the local officials involved in the rehabilitation project. 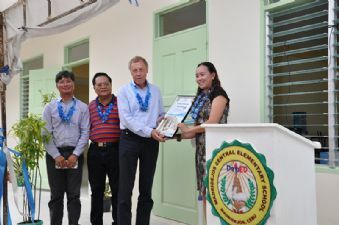 The Management decided to look at the schools in Northeastern Iloilo, Daangbantayan and Bantayan Island, Cebu and identified eight schools that required repair and construction. 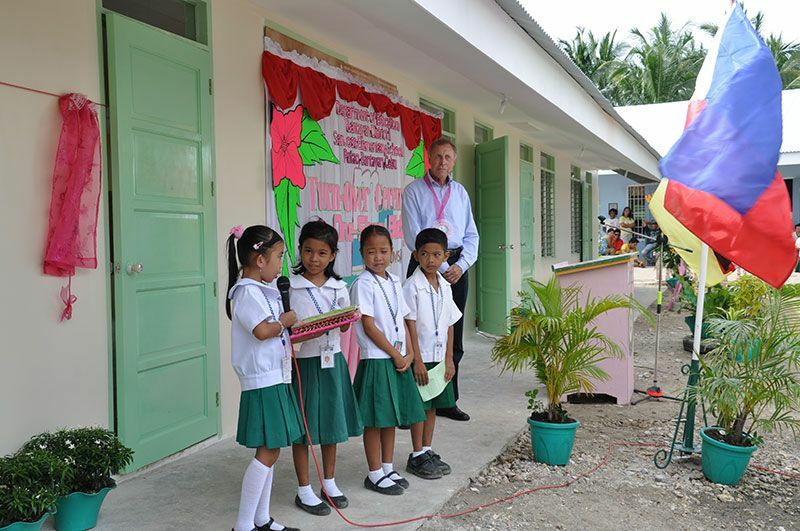 After all the preparations and meetings with parties concerned in each locality, the ground breaking ceremony was held between 21st to 23rd of May 2014 covering all schools identified in Northeastern Iloilo and Cebu. A follow-up site inspection from 15th to 17th of July 2014 was made by MNPI representatives, wherein construction was seen in full swing nearing towards completion. The last leg of site inspection was made between 2nd to 4th of September 2014. In mid-October 2014, our Chairman, Mr. Hermann Eden accompanied by Mr. Tony Galvez Jr. and Capt. Leo Tenorio, graced the inauguration ceremony of the classrooms donated by our ship owners, our seafarers, our colleagues and Marlow Navigation Co. Ltd. A simple prayer and blessing of classrooms was done by the officiating priest. 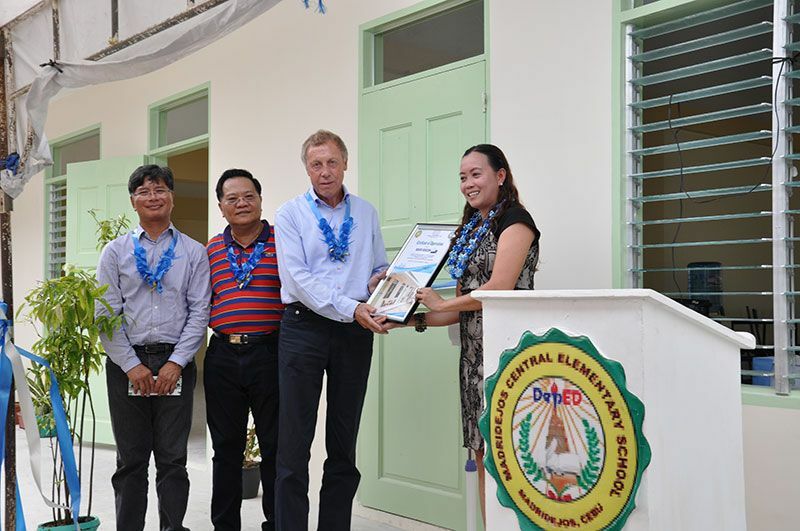 This was followed by the ribbon cutting ceremony and unveiling of the brass marker headed by school principals together with Mr. Eden, Mr. Galvez and Capt. Tenorio. A small program prepared by the pupils and teachers served as entertainment and a buffet completed the celebration. As expressed by Mr. Eden, "We are honored to be able to help a community that in the past has done so much for the worldwide shipping industry and our company. These classrooms once more testify our enduring commitment to the Filipino seafaring community and their families. We share your vision of hope for these little children who aspire to become productive members of the society and tomorrow’s leaders through the foundation of good education, and moral principles." It was indeed a fulfilling social responsibility to rebuild hope to all the children and their families residing in the areas affected by the Super Typhoon Haiyan (Typhoon Yolanda). From this act of generosity, these children were able to continue their dreams and ambitions for a better and brighter future.